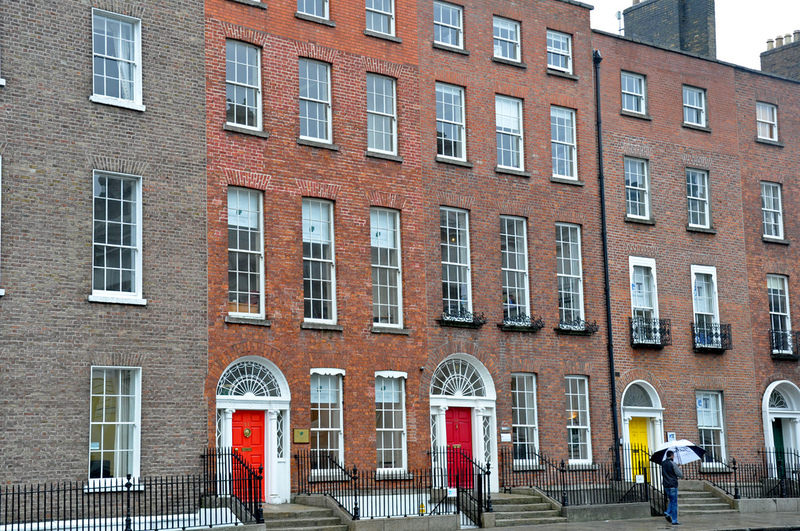 Although the best season for visiting Dublin is between June and August, the low season – which lasts from mid November to February – can have it’s own advantages. The positive aspects of low season are the lower prices, they are more reasonable and affordable. To find your own travel deals to Ireland search cheap flights, hotels, vacations and more in the box below. Personally I visited Dublin for New Years Eve, which was between December 26 2012 to January 3 2013. The experience itself was marvelous. The vibe and basically everything the city and of course, the whole country, can offer is absolutely the friendliest, most ravishing, outstanding and tranquil, I have seen. Simply put, the Ireland is purely amazing. For me encountering the country was also one of the most unique in Europe by far. The city is very beautiful yet also practical and highly accessible. The Architecture is diverse, noteworthy, and vast, spanning from the Norman, Anglo-Irish era to the most modern era type of architecture, but Dublin is particularly rich and famous in domestic architecture of the 18th century, the so called Georgian architecture, which was formed between the 18th century to the early 19th century when the whole Ireland was still part of of the United Kingdom. In addition to the cities broad culture and rich architecture, the most common stereotype about the city is the nightlife ,more distinctly said, the Irish local pubs. 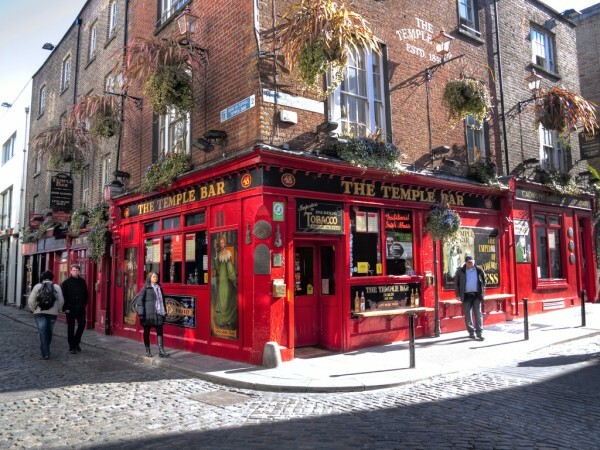 Dublin possesses about 700 licensed pubs,and every each one of them has it’s own type of tone and feeling. Every pub has it’s own boastful layout, which of course affords a pleasant atmosphere. The pubs in Dublin are a lifetime leisure, surely making as one of the best and quite uncommon. The best trait of pubs in Dublin is first of all the very gregarious and carefree vibe, everybody enjoys their time to the fullest, both locals and visitors alike. Another considerable trait of pubs in Dublin is their own music, let it be traditional Celtic/Irish music or local or even famous Irish bands/musicians who are playing live at a pub,a habit that generally is not uncommon at an Irish pub. 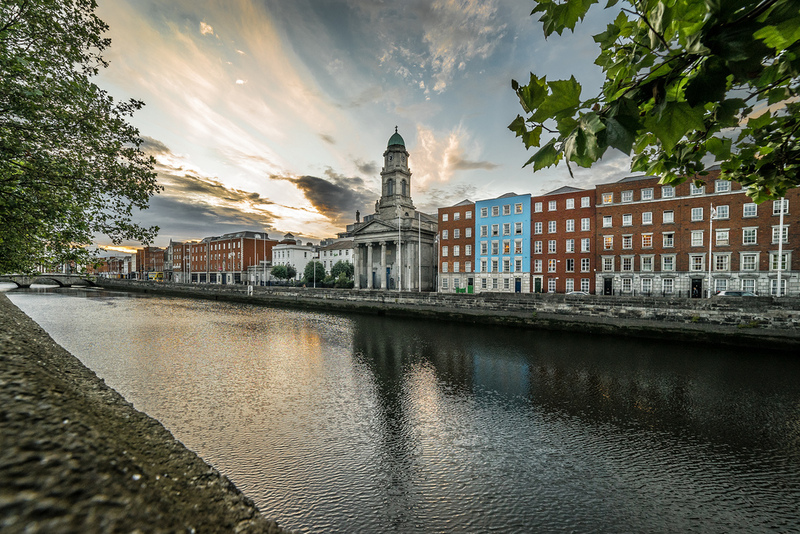 Despite Dublin’s recent cosmopolitan and modern lifestyle, the city keeps it’s own tradition and culture and it’s one of the best example of a European capital where you can feel that traditional, somewhat orthodox aura. 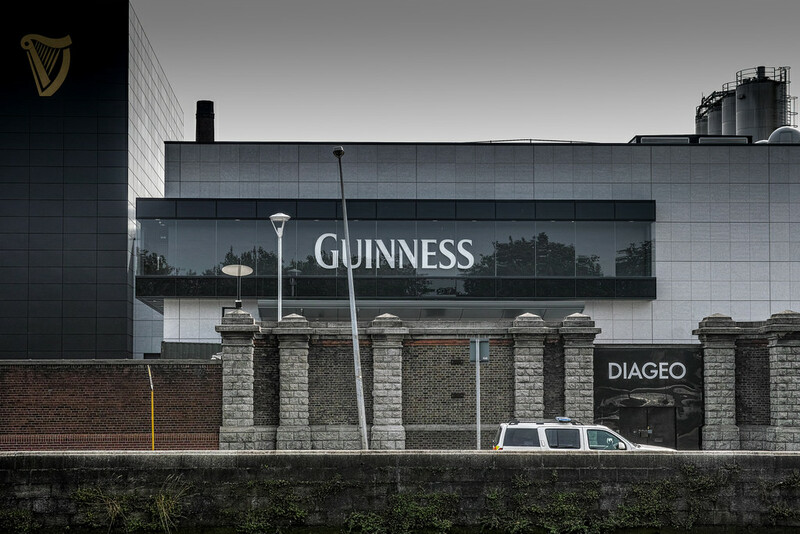 Dublin and overall Ireland has an affluent history in alcohol beverages,especially beer and Irish whiskey,these 2 becoming trademark beverages of the country. The nation has an extensive number of breweries and distilleries and I was fortunate enough to visit some of the most well known in Dublin the Guinness brewery and the Jameson whiskey distillery. Both of them has it’s own special heritage and even the buildings themselves were exciting, both outside and inside. I think these two were some of the best places I’ve visited in my entire life. I consider the fact that if you haven’t visited places, you haven’t seen Dublin completely. Other beers like Murphy’s, Kilkenny and O’Hara’s are also renowned Irish beverages. 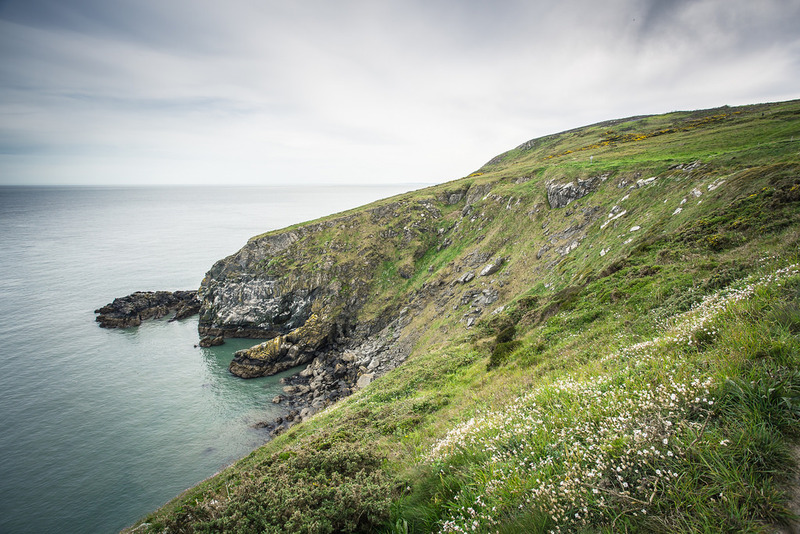 To visit the country properly, I’ve decided to visit other places besides Dublin particularly the countryside, towns, villages, abandoned cemeteries and monasteries which are frequent in Ireland and both the Irish Sea and the Atlantic Ocean. While visiting other places, I realized that this country is far too charming. I was lucky enough to visit little seaside towns and resorts like Bray, Dun Laoghaire and Howth, which are quite close from Dublin. The countryside itself is just remarkably appealing and very green, almost like a fairy tale scenery. Since I was also very curious about the western part of the country, I’ve made a road trip to the other part, visiting Limerick, Ennis, Galway and other towns like these, some beautiful villages where the Gaelic language and strong culture still live on. Some of Ireland’s most beautiful beaches are situated there.While heading to the the other part of the country, I was so impressed and fascinated when I stopped and visited those abandoned monasteries and cemeteries, because the country is filled with them and the scenery from each monastery is one of a kind, being mostly in the middle of nowhere. 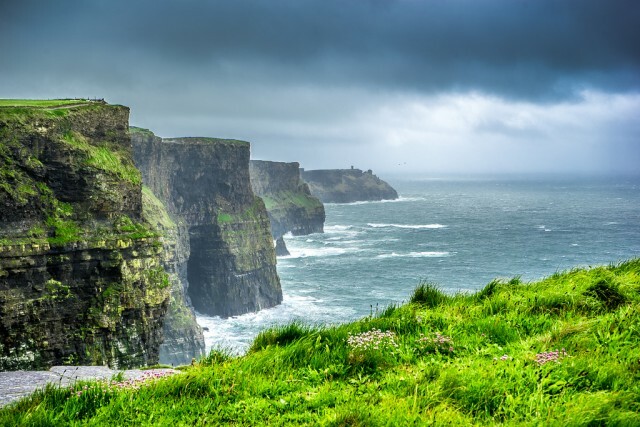 Ireland has a lot to offer but my favorite part was visiting the Cliffs of Moher, it was unforgettable: the natural attraction point of Ireland with a splendid view of the Cliffs and the Atlantic Ocean. Although the wind is extremely powerful which makes it hard to move from one place to another, it is a worthy destination and probably one of the most catchy views of your life. Enough said, I strongly recommend you to visit the country, since it provides not only exceptional with culture and stunning views, but also with one of the most sympathetic and warmest welcomes I have ever experienced. If you really wanna visit Europe, I suggest you to put Dublin, in fact the whole Ireland as top destination, because, believe me, it’s worth a try.